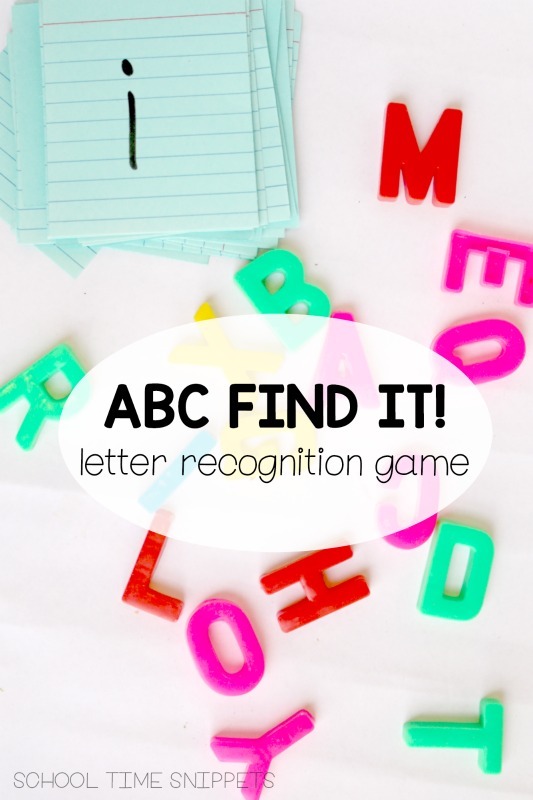 Play this fun and simple low-prep ABC game to work on letter recognition with toddlers, preschoolers, and Kindergartners! 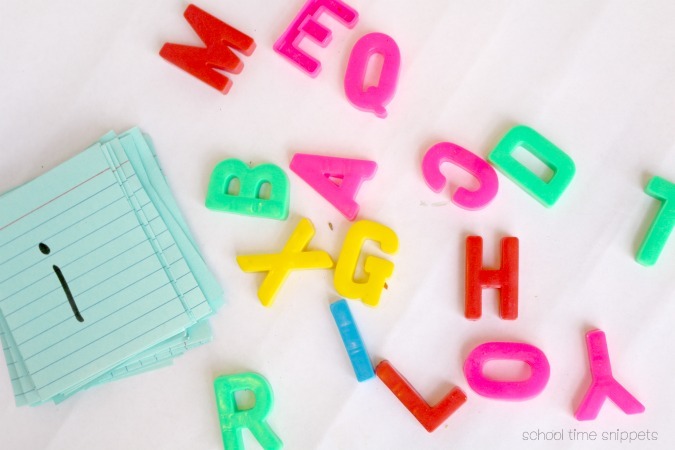 Looking for a fun and simple alphabet activity for your preschooler? Try this ABC FIND IT! Game! It's a fun low-prep version of I SPY! I love turning our learning goals into games; learning is so much more hands-on and fun that way! This ABC FIND IT! Game is a mix of I SPY and letter recognition. If you and your child are familiar with SPOT IT! Games , you'll love this simple letter version. First, prep the alphabet cards by cutting index cards in half. Write one letter from the alphabet, A-Z, on each card. 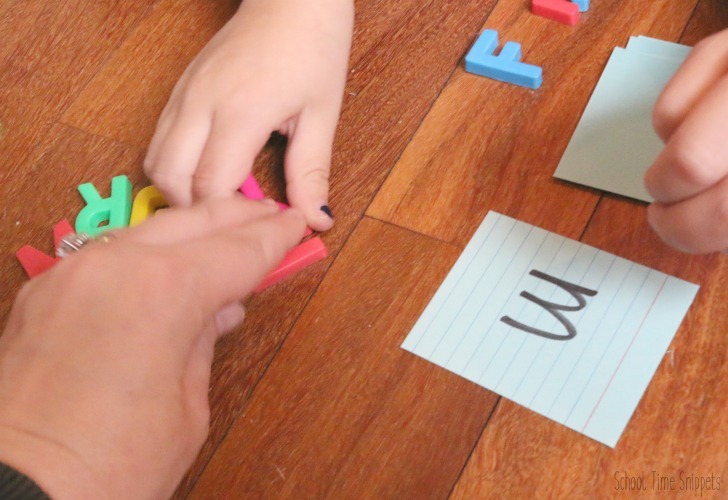 Depending on your letter manipulatives you can choose to work on matching uppercase letter to uppercase letter, lowercase letter to lowercase letter, or uppercase letter to lowercase letter. Another option is to use one-sided alphabet flashcards. Place the alphabet cards face down. Arrange the letter manipulatives all over the floor or table in front of you. Flip over a card and be the first to FIND and grab the matching letter! Keep playing until there are no more letters. Be quick! Have fun! easily adaptable to numbers, shapes, etc!